Database Systems Corp. (DSC) is a leading provider of contact center technology and call processing solutions. These include voice message broadcast services at our secured and highly redundant call center. Employing these voice broadcasting systems, DSC can send hundreds or thousands of phone reminders to your community or clients in just minutes! A pre-recorded phone message can be delivered to either individuals or answering machines, reminding members of upcoming appointments, conventions, community events, warranty deadlines, or even community alerts. This reminder system technology is ideally suited for reminder services that can be utilized to send notices to clients and to members of a community. Call reminders from DSC can include customized information from a client database (such as the caller's name, appointment date and time). Employing our Text To Speech software, virtually any information can be included in these reminders. In some cases, a message may be left only if an answering machine is detected. 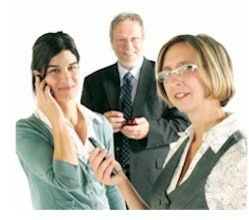 A call reminder recipient could be given a message with selection options using our interactive voice response system. Our reminder software helps Yellow Book USA track the delivery of its phone books. Households in specific delivery routes are automatically contacted using our voice broadcasting system. To verify the delivery status of ordered books, this system samples a few homes by calling residents to verify that the books have been delivered as scheduled.